Sudan has its third leader in as many days. Military interim leader Abdel Fattah al-Burhan Abdelrahman has promised protesters they'll soon have a civilian government after three decades of autocratic rule under Omar al-Bashir. 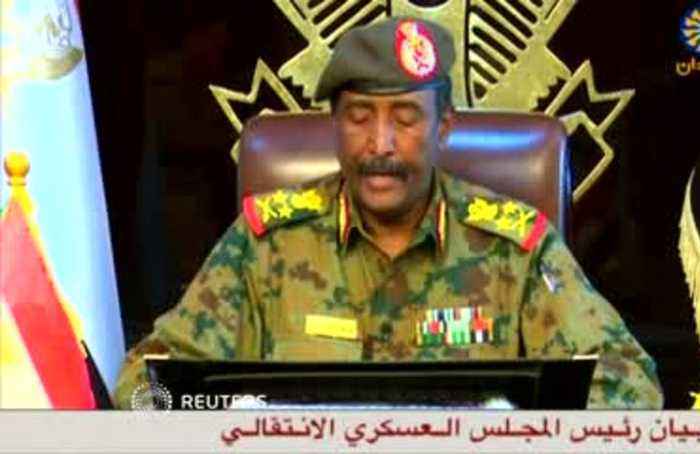 Leader number three for Sudan in as many days -- yet another army commander. Promising victorious and jubilant protesters that there will be a civilian government to follow three decades of autocratic rule under Omar al-Bashir. Still Abdel Fattah al-Burhan Abdelrahman says the transition could take up two years. And the crowds on Khartoum's streets are impatient for change -- and an end to rule by men in fatigues. Defence minister Awad Ibn Awf took over as interim leader, but stepped down after just one day. Burhan was sworn in on Saturday. He was the military's number three, but is believed to be more ready to talk to the demonstrators. And protests claimed another high-profile scalp Saturday -- Sudan's powerful intelligence chief, Salah Gosh. Buoyed by success, protesters ignored an overnight curfew Ibn Auf attempted to impose. Burhan has now cancelled those curfews and promised to release political prisoners. As this grainy footage shows, some soldiers even joined the jubilant masses over the past couple of days. 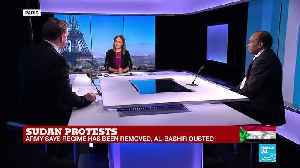 Ongoing demonstrations surged a week ago, inspired by events in Algeria. Where another ageing autocrat quit after two decades in office following weeks of similar demonstrations. 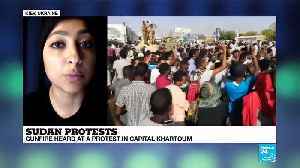 Sudan's protests have met violence. At least 16 people were killed by what police said were stray bullets at protests and sit-ins on Thursday and Friday. Seventy-five-year-old Bashir seized power in a coup in 1989. One question for Sudan will be whether to hand him over to the UN tribunal over his alleged role in atrocities in the Darfur conflict that started in 2003. The military council so far says it won't extradite Bashir, indicted almost 15 years ago by the International Criminal Court in The Hague. Sudan has its third leader in as many days. Military interim leader Abdel Fattah al-Burhan Abdelrahman has promised protesters they&apos;ll soon have a civilian government after three decades of..